Dubai Duty Free Careers & Jobs 2019. 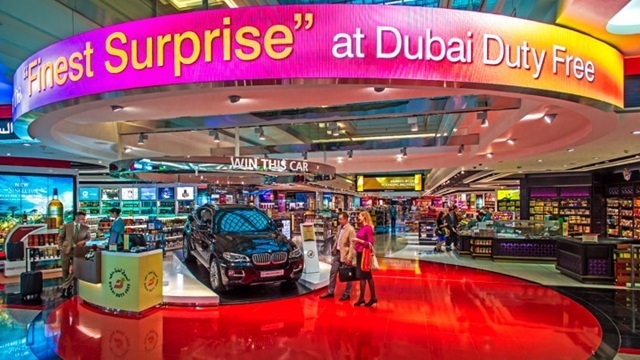 Dubai Duty Free, which celebrated its 31st anniversary on 20th December, recorded annual sales of Dhs6.999 billion (US$1.917 billion) last year. Its founding principal of providing travellers with a first class retail experience in a shopper-friendly environment and a diverse range of products still holds true to this day. Employing over 6,000 people, Dubai Duty Free has consistently raised the benchmark for airport retailing and it continues to grow. To date, Dubai Duty Free has received over 500 awards which bear testimony to the operation’s retail success including being named the “Airport Retailer of the Year in Single Location” at the prestigious Frontier Awards 2014 held in Cannes; “Best Airport in Duty Free Shopping” presented at the Business Traveller Middle East Awards; “Middle East Travel Retailer of the Year” from DFNI Asia Pacific; the “Superbrands Awards for Excellence in Branding” received from Superbrands Council UAE and the Global Traveller US Magazine award for “Best Duty Free Shop”. To learn more about the different types of roles with Dubai Duty Free click on one of the position types below. If you like what you see, then click on register to submit your personal details. You are welcome to register your details for more than one position if you wish, but only once for each. As part of your registration, you will need to complete an online application form. Please make sure that you have a strong internet connection for the whole time you are completing the form, as a weak internet connection may interrupt you in saving your details. You will be asked to upload a photo and CV / Resume, and should make sure that your internet connection is strong enough to support this also. To register for more than one position please register your details for one of the position first. Once your application is completed for the first position please log back in to your application, click ‘Vacancy Page’ and apply for the second position. We also encourage UAE nationals to register their interest for roles that may become available.